Signups Extended to September 5th at 11:00am Eastern Time. Who wouldn't love something sweet and crafty to brighten up their kitchen? In this swap we will be making 2-3 potholders for our partners. Please indicate in your questionnaire whether you would prefer to make 2 OR 3. 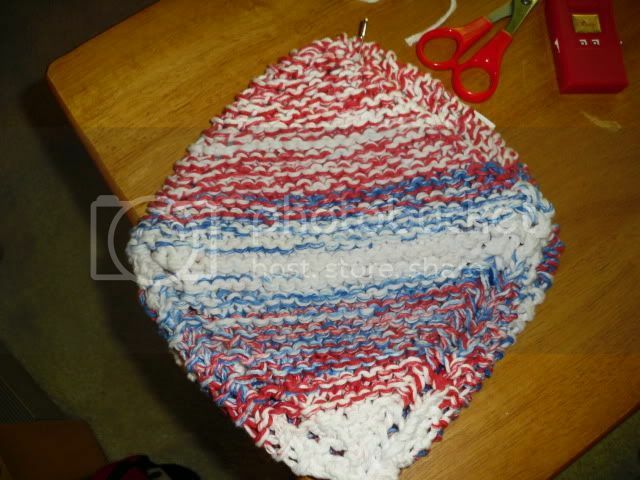 Potholders can be quilted/sewn, knitted, or crocheted. Swappers who are interested in swapping an additional item, such as a tea cozy, matching kitchen towel, or placemat, may indicate their interest in the questionnaire below. THIS IS NOT A REQUIREMENT. It is just an option for those people who may be interested. I will attempt to match up people who are interested in this option, but I make no promises. Swappers will be matched up first based on allergies & shipping, and then on swapping preferences. As in all Craftster Swaps, DC#’s are REQUIRED. Posting pictures is required in this swap. If you believe you will have trouble posting pictures for any reason, please mention this in the questionnaire below. Please also take pictures of the items that you send, in case your partner has any unforeseen problems posting. I reserve the right to refuse anyone. If you have feedback that shows a history of incomplete packages, very late sending, ill-communication, lack of DC #'s, lack of picture posting, etc. I may refuse you. I want this to be a flake-free swap! For a wonderful swap experience, communication is the key. Please keep in touch with your partner and your organizer. • SENDING: Take pictures of your items before you send. When sending, you must use a DC# (or for overseas keep that receipt). Keep your receipt until your partner receives. PM organizer and partner when you send. • RECEIVING: PM organizer and partner when you receive. Take pictures of received items. (Please take quality pictures, like ones you would take of your work.) Post pictures in gallery in a timely manner. • FEEDBACK: Given when both partners packages have been received (verified through PM or DC#) and pictures have been posted. NOTE: Lack of communication and explanation, such as no PMs of sending/receiving, will be noted in your feedback. What kinds of potholders would you like to receive? Do you have a favorite style of potholder? Square, mitt, Crazy Zori, Pocket? Would you like to make 2 or 3 potholders? What color and style is your kitchen? Would you prefer something that matches your kitchen, or something to suit your personality? Do you have a favorite theme or motif? If so… Is there anything else you’d really love for your kitchen? Do you, or any member of your household smoke? Do you have any pets or other allergens in your home? Do you have a wist or list of favorites to help your partner learn more about you? 1 will craft for 2. 3 will craft for 1. I think I would like to join. I feel I could add something to this swap that wasn't seen last round. Ooh, what could that be? Yay! Here's to amazing kitchen pretties! Hope there will be more signups or it will be a very small swap. Yeah, I'm really surprised there are so little of us so far! Don't there have to be at least 6 for it to count as legal Craftster swap? I checked. There is no minimum. So the swap will run whether we have more swappers or not. Regardless....this is gong to be fun anyway.